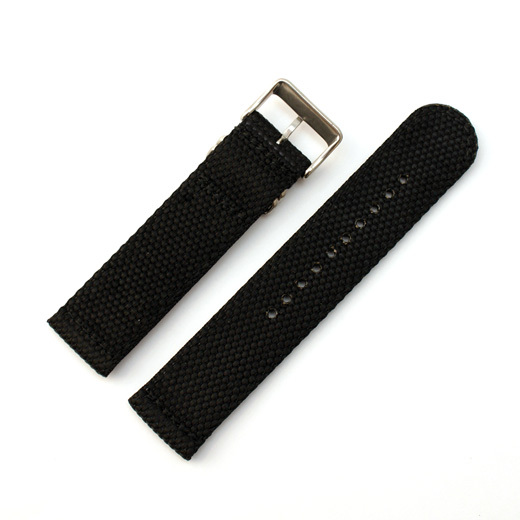 A high quality, thick black two piece zulu military watch strap with a brushed / matt stainless steel buckle and two rings / keepers. 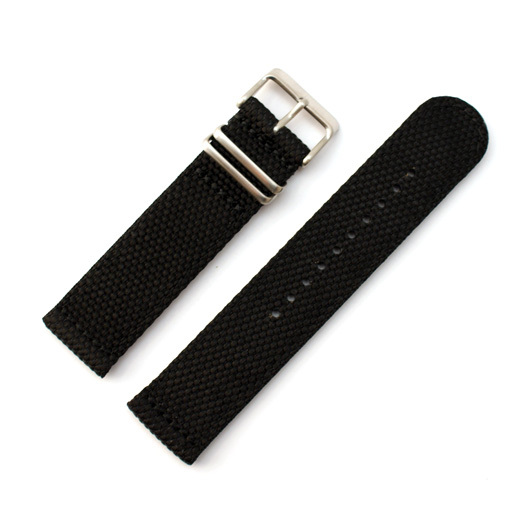 This thick watch strap is made from heavy duty honeycomb woven nylon that has heat sealed edges and holes with stitching around the edges. It has a comfortable feel with a brushed / matt steel buckle and rings, making this a perfect choice for any watch from mid range to prestige. 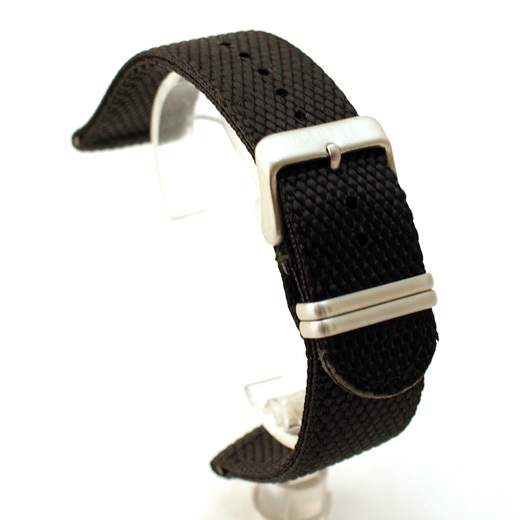 BEAR Uhrband GmbH, situated in Königheim (Germany), manufacture high grade watch bands for a number of high end watch companies. This strap will fit any watch where the distance between the lugs 22mm or 24mm (depending on the size you buy). Like all of our products, it is brand new and in stock in the UK, ready for our super fast shipping. Regular length: buckle section (strap end to spring bar): 80mm; holed section (spring bars to strap end): 125mm. There are 10 holes starting 25mm from the end and spaced every 5mm. Please be aware that this is a rugged strap that is heat sealed on inside edges. Also nylon can stretch and shrink so all measurements are +/- 5mm for length and +/- 1mm for width.